In the wake of Mother’s Day, there is finally time set aside to truly acknowledge all mothers everywhere. We are all normally rushing around, trying to make it to all that our overloaded calendars can carry. Through the hustle and bustle of each year, I find myself falling frantically down into a dark hole, one that carries all the negativity of me not being ‘the mother’ that I need to be. You know, that perfect mom who has it all together. She doesn’t raise her voice in anger towards her children, has a healthy meal and snacks available at all times, house in order, and spends every second savoring her children because they won’t be small for long. The last one gets me upset every single time. We as mothers are constantly reminded ‘Don’t blink! Before you know it, they will be all grown up!’ As my oldest approaches Kindergarten graduation at the end of the week, I have a small taste of what they mean. Where did the time go?! Seriously though! Although I am excited to see what big things she brings to this world, I find myself becoming guilty. Did I spend all the time with her that I should have? Does she truly know that I love and cherish her? Do not, let me repeat myself-in hopes it to will be engraved deep into my soul, DO NOT fall into the trap of guilt. Guilt will just constantly eat away at what happiness you do have, much like how the ocean waters erode the sandy beaches that run along side them. Instead of falling into this treacherous guilt trap, remind yourself that God chose YOU to be the mommy. You hear me, CHOSE YOU! He knows you have got this and that you are the best mommy for those little ones He has blessed you with. Now I am not saying you should be perfect or are perfect (if you are perfect, message me! I need some advice 😉 ) What I am saying is that you got this and are doing the best you can in all circumstances. Something my pastor said Sunday has been running through my mind since…’There is no more perfect time than right now.’ We will have times where we lose our cool and the voices get a few octaves higher and louder, but that doesn’t label you. 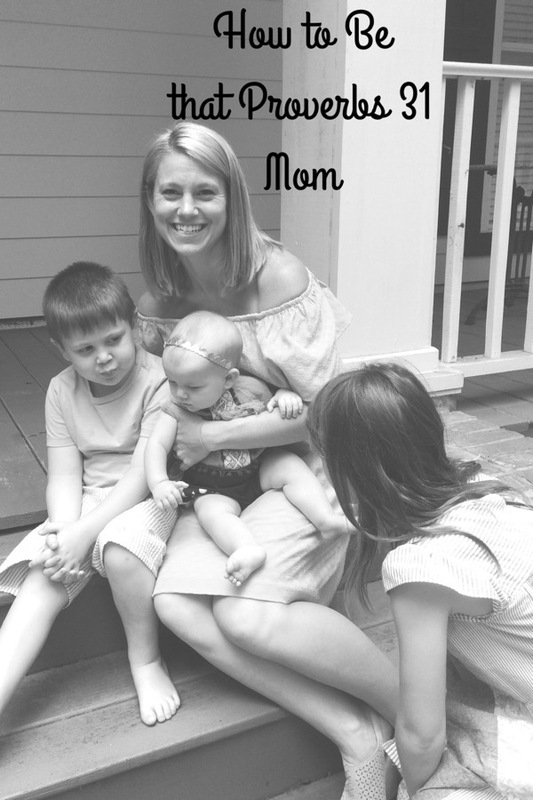 There will be times where us as mommies lose our cool, may cry a little, but remember ‘There is no more perfect time than right now.’ You have the chance to take advantage of many moments and do your mommy job like a beast! The most important thing though is if we as mothers put God first, all of this will fall into place. Put Him first, and your days will go by so much smoother. Remember, He knows you are the best mommy for your child/children, and isn’t going to give you more than you can handle-as long as He is there to help hold your hand of course. I truly accepted this after we were told my son was on the autism spectrum. Why my son? I had no clue what I was going to do. Then I told myself, God isn’t going to give me more than I can handle…I got this! You know what, I still got this. I am not perfect, but will challenge each day to own it. So, seek each day to be that Proverbs 31 mother. You aren’t going to be perfect all the time. Remind yourself when things seem not to be going your way, ‘No more perfect time than right now.’ Try it again! Put God first, and all these things will fall into place more smoothly. Oh, and punch any guilt in the face…you are an awesome mom and don’t got time for that!